Do Your Clients Need a Great Source for Discounted Building Supplies? Fausett Law Offices would like to recommend the DuPage County Habitat for Humanity ReStore in Addison, IL. The ReStore is DuPage County’s home for discounted building materials. ReStore is dedicated to helping protect the environment by reusing, recycling and repurposing household items and construction materials that would otherwise be thrown out and end up in a landfill. All items at the ReStore are donated by companies and individuals and sold to the general public at greatly reduced prices. How does ReStore help our communities? 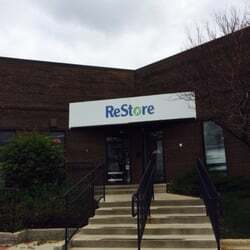 All proceeds from the ReStore go directly to fulfill the DuPage Habitat for Humanity mission to help build affordable housing for families in need. Since July of 2011, the DuPage ReStore has diverted an incredible 720 tons of waste from Illinois landfills. When you shop at the Addison, IL ReStore location, you help protect our environment, help local families remodel their homes at lower costs and support DuPage County families in need of housing. You can find new and gently used furniture, appliances, home accessories, building materials, and more at a fraction of the retail price. * To the extent that the information on this blog post is interpreted as attorney advertising in accordance with the Illinois Rules of Professional Conduct or within the meaning of state bar rules from all other localities, this statement is made pursuant to those rules.